Fi'zi:k is a cycling brand based in Italy, famous for their performance saddles ridden by Tour de France top teams and cyclists. In this project we were tasked to create a saddle specifically for women. Many professional female cyclists often use performance saddles designed around mens anatomy, and women-specific cycling products often are designed with lower performance standards. We undertook a research project, in which over 100 female cyclists from all over the world participated in focus groups, online research, and ride-alongs. Using these insights, we explored solutions from technical, functional, and emotional levels of design. The Luce's three-section construction is highlighted by the stripes which delineate the spine and two wings of the saddle. The stripes following the subtle surface curvatures create a design language of continuous motion. 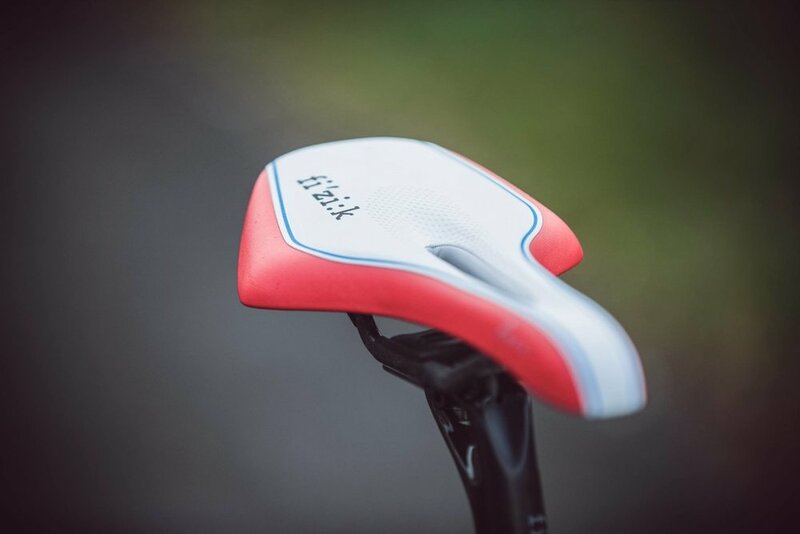 The Luce is the first saddle by fi'zi:k with a cutout to relieve pressure. Many women's specific saddles are overly cushioned which places greater pressure on soft tissue. The Luce saddle uses flexible wing structure to offer both support and comfort, and offloading pressure from the soft tissue. 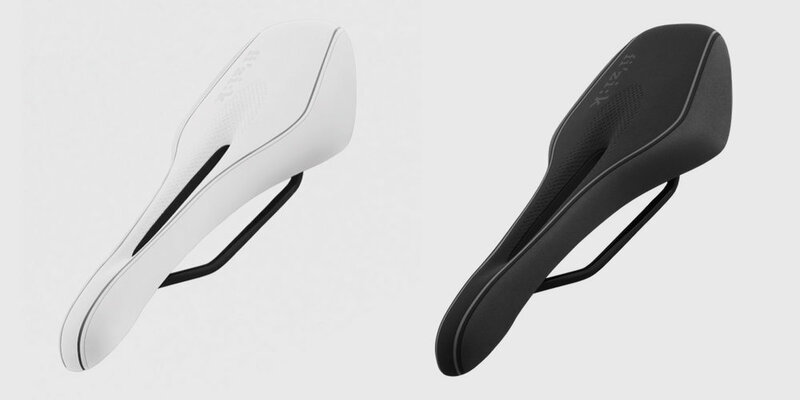 Another first for fi'zi:k is the availability of two saddle width sizes, to accommodate the wide variance of seat bone widths in women. 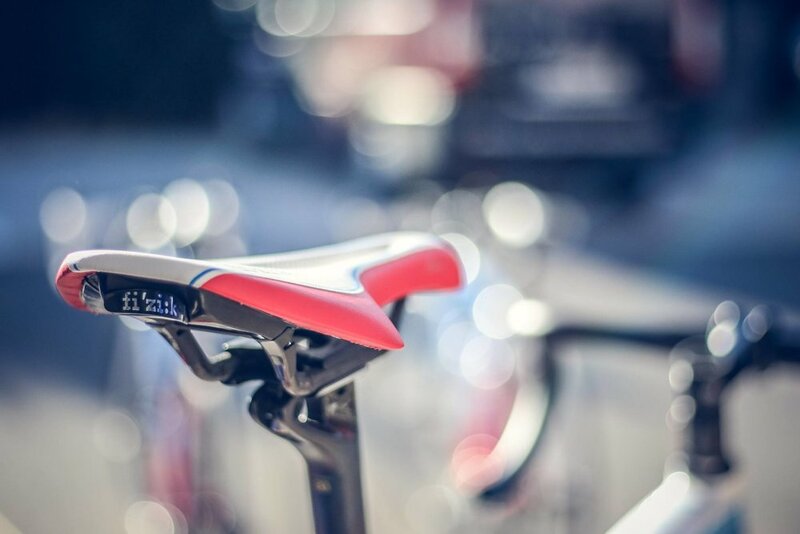 Although this is the widest saddle ever made by fi'zi:k, it appears visually slimmer than competitive saddles of similar width. 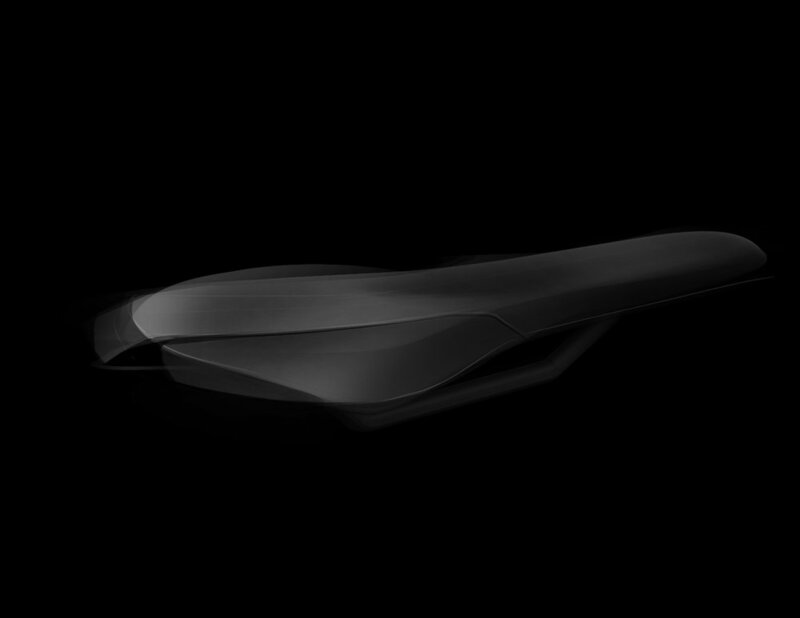 The side view of the saddle expresses speed. The "angles in opposition" relationship of the top and bottom surfaces creates a dynamism of stance. There is a subtle dip in the center of the top surface to allow more pressure relief from the soft tissue areas. Taller wall height at the nose allows the rider to hug the nose when riding off saddle. The design of the rails in this saddle is straight, as a central spine, rather than splayed outwards underneath the seat bones, as they commonly are in most saddles. Sitting on the rails would be less comfortable or require more cushioning. In the Luce, the wings flex for comfort and support. The straight rails also are a performance feature that creates more power transfer to the pedals. As the rider pushes against the back of the saddle, less power is absorbed by cushioning. For straight rails to be stable, I also designed a bridge structure to keep them held parallel. The final product is customizable from wings, stripes, center, and logo. Shown below are color palettes studying various color combinations with their inspiration boards for the commercial product. 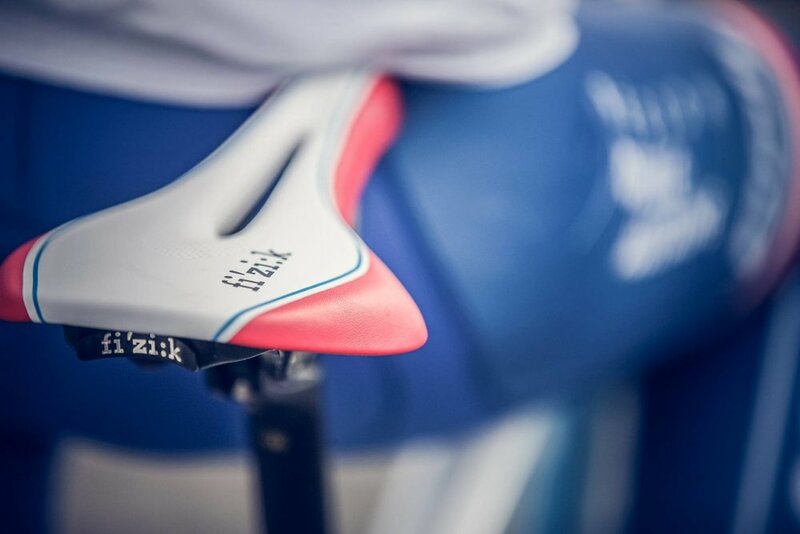 Upon release of the Luce saddle, the French professional women's cycling team, FDJ - Nouvelle Aquitaine - Futuroscope, was under sponsorship of Fi'zi:k, utilizing these saddles for their pro tour.